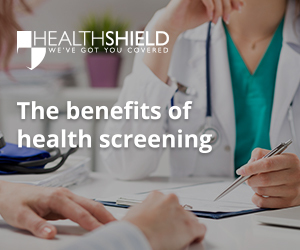 Health Shield’s comprehensive whitepaper on the benefits of health screening offers an in-depth look into why the early detection of health conditions is so vital, what health screening is, the processes involved and the many benefits this type of service has to offer. As well as offering an insight into an employee’s current and future health, Health Shield’s Health Screening programme can help to improve business performance and the relationship employers have with their employees. Businesses can choose from three different levels of screening to suit different budgets and requirements; Core Health Screen, Advanced Health Screen or Premium Health Screen. No matter the level, each screening helps employees to see a clear picture of their current health and take the necessary steps to make positive decisions about their health and wellbeing. Benefits include a reduction in absenteeism and staff turnover, boosted productivity and increased staff morale. By offering health screening, employers are able to actively support their employees’ health and wellbeing, leading to a more productive, engaged workforce, and a positive impact on their business’ bottom line. Health Shield is a non-profit making friendly society with over 135 years experience of healthcare provision. We are one of the UK’s leading providers of health cash plans, providing services to hundreds of businesses both large and small. Health Shield offers a whole range of cash plans to suit all business and employee needs, including standard or tailored schemes on a voluntary, company sponsored or flexible benefits basis.